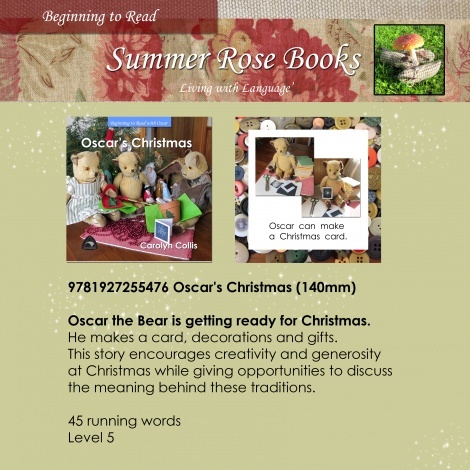 Oscar the Bear is getting ready for Christmas. 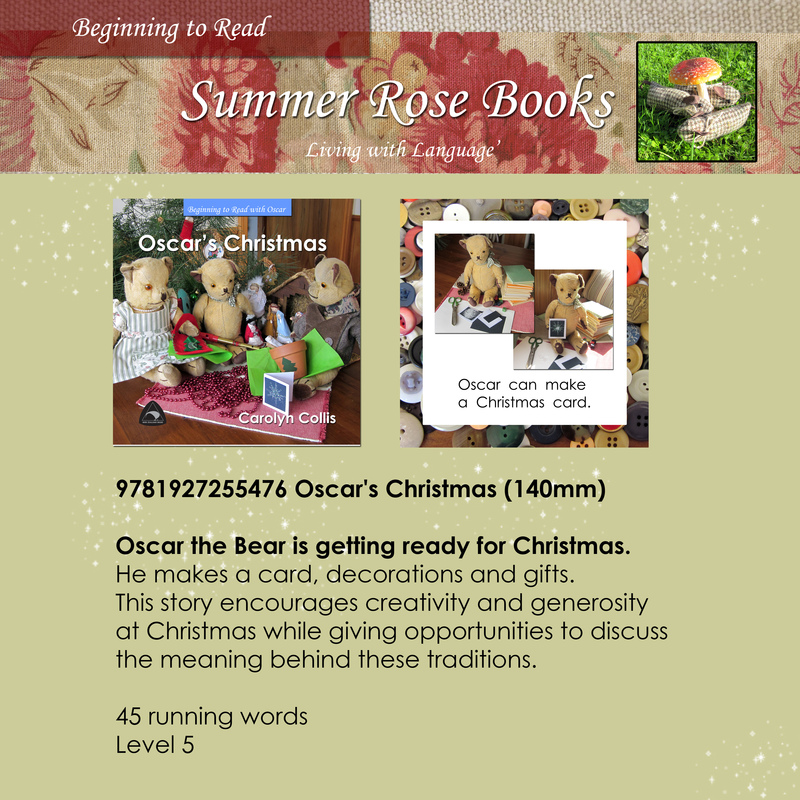 He makes a card, decorations and gifts. This story encourages creativity and generosity at Christmas while giving opportunities to discuss the meaning behind many of these traditions. This series provides a fun way for children to build reading confidence and improve general knowledge.